Stochastic Partial Differential Equations (SPDEs) are the mathematical tool of choice to model many physical, biological and economic systems subject to the influence of noise, be it intrinsic (modelling uncertainties, inherent features of the theory, ...) or extrinsic (environmental influences, random user input, ...). SPDEs also arise when considering deterministic models from random initial conditions, or as tractable approximations to complex deterministic systems. In many cases the presence of noise leads to new phenomena, both at the mathematical and the phenomenological level. 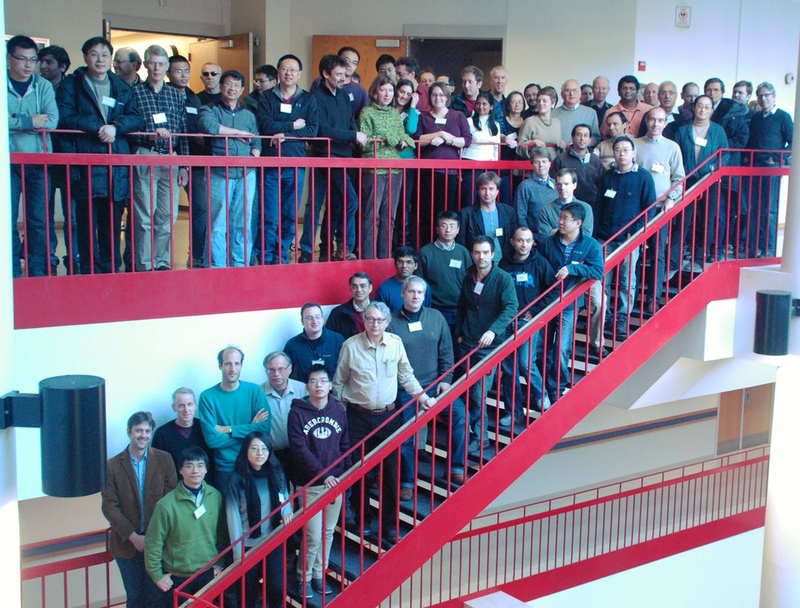 The goal of this workshop is to bring in contact some of the world leaders in SPDE theory, especially those working on numerical approximations and applications, with applied mathematicians working on models that incorporate both spatial structure and randomness. We will focus in particular on numerical schemes, multi-scale structures, finite dimensional approximations (for example finite element methods), asymptotic analysis, particle methods, etc. On a mathematical level, some of the topics of interest will be convergence rates, optimality criteria and limit theorems.